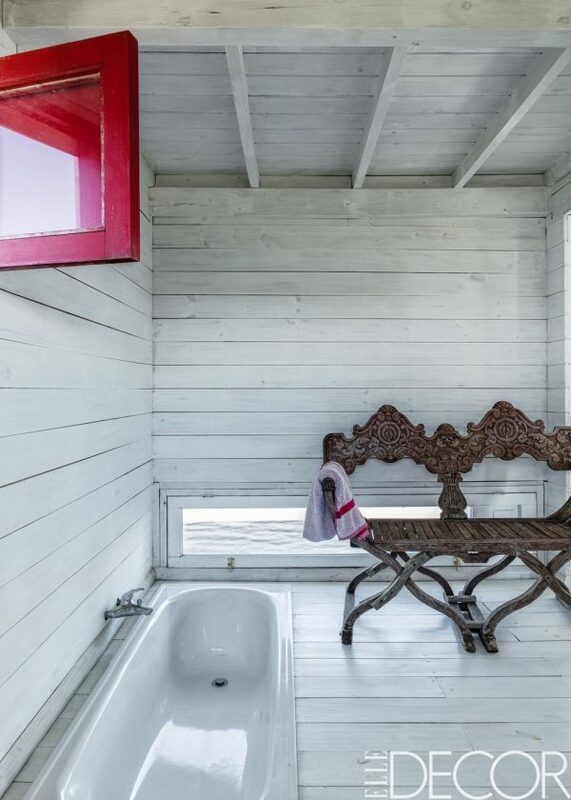 Most apartments, town homes and even homes have at least one small bathroom. It quickly becomes a pain in many homes to the homeowner. Quite often these do not have a window, so perception of a bigger room is the key and starts with the colour palate of the room. Things you will need: Paint, Compact fluorescent bulbs, Pedestal sink, Light-colored tile, Area rug, Mirrors and also Glass shelving. 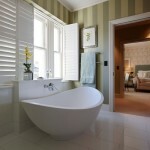 In order to make your small bathroom look bigger, a light color would be an ideal choice for the walls. 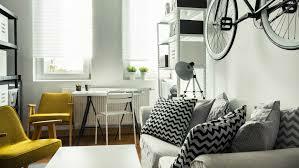 A modest pattern could be considered, it may even make the room look larger than painted solid walls. This may be achieved by simply using patterned wallpaper or a faux finish. The pattern must be slightly darker and the background should be very light. 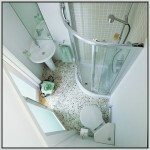 The ceiling of your small bathroom will brighten up the room by being given a fresh coat of white paint. Especially if the ceiling was previously a color, by doing so will add an airy feel. All trim should be painted with white. Height to the room could be added by adding a white crown molding, adding to the feeling of making your small bathroom look larger. 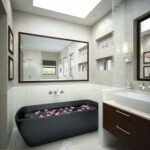 An added skylight, will make a big difference in your small bathroom, so may to be considered as an option. Removing curtains will add to the impression of larger. It is recommended that you to replace light bulbs with CFL versions, which provide natural, bright light to any room and best of all, they are energy efficient. Recessed lighting should also be considered and light fixtures that jut out into the room should be eliminated. 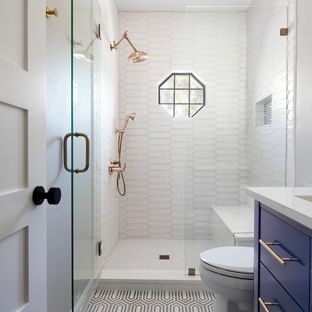 To make a small bathroom look bigger, light-colored flooring should be used. However, one area rug that fills most of the space that is a light color could also be used if you have a dark floor and cannot afford to replace it. If you will add tile, a medium-size tile square at 6 inches or 8 inches or even larger would be a better choice. A tiny tile will actually make the room look narrow. A simple, straight tile pattern is ideal, or even a plain tile would be acceptable. 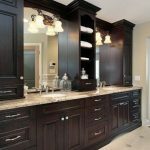 As eliminating the cabinet will make your bathroom look bigger, if its possible, consider using a pedestal sink. Or maybe you could paint dark cabinets white if you cannot afford to change your current cabinets. Any wall cabinets should be recessed, if you cannot manage that, simply eliminate them. As for shelving and for your shower door, it is better to use glass or even a clear shower curtain as replacement. Reflecting the light will make your small room look bigger, so it is important to add mirror. Two or three big mirror should be considered.